The picture is from the home page of Apple.com. Steven Jobs' death was just announced moments ago. Definitely one of the leading thinkers of my life time. His contributions to technology and Apple's on-going commitment to education is commendable. Garth is fortunate to teach in an apple 1-to-1 school. 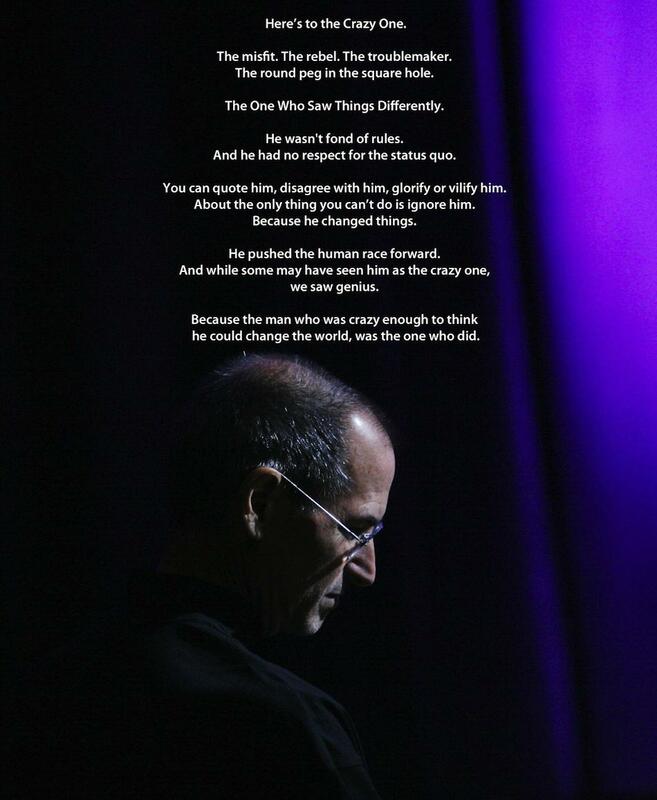 We need more creative, driven people like Mr. Jobs in the world. I hope that Apple continues to create and push the boundaries of technology integration. I believe that creating lessons that promote subsequent intrinsic motivation will be effective in the classroom. The article, “Motivating African American Teenage Boys to Read text”, seeks to answer questions on how to best motivate African American students. The article proposes five solutions that will help teachers: 1. Select text that will afford connections 2. Provide choice. 3. Take the text seriously. 4. Involve the voices of African American teenage males. 5. Select texts that function as road map texts.